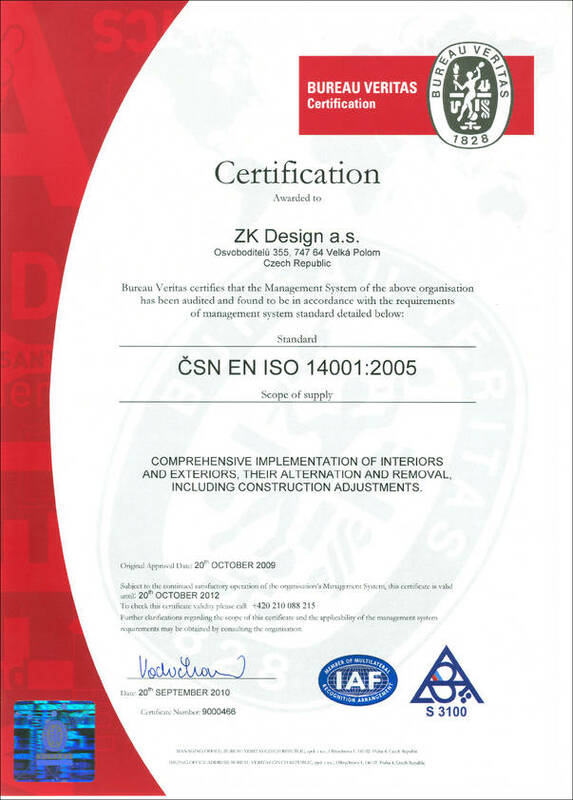 ZK Design v.o.s. came out of a merger between two similar manufacturers (Z&Z, K&K) on 28 December 1992. 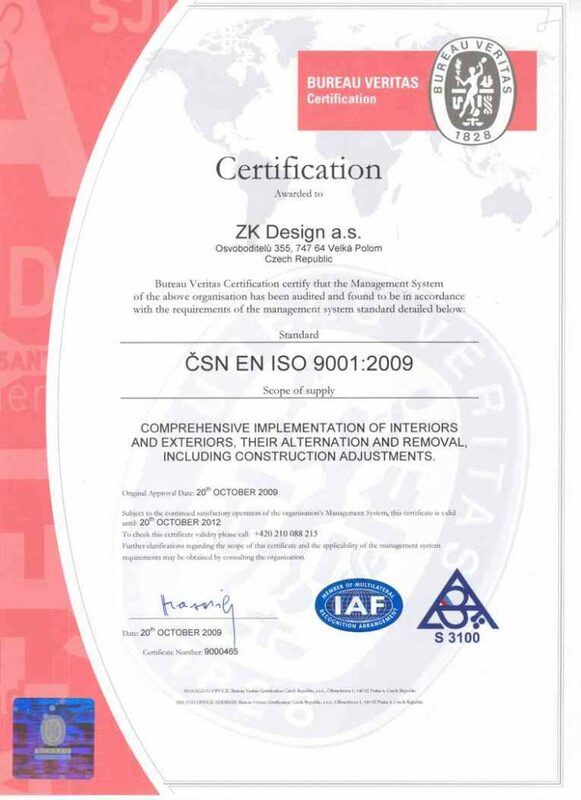 On the basis of an agreement between the partners, dated 30 June 2000, ZK Design v.o.s. 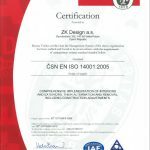 (partnership) was transformed into the joint-stock company ZK Design a. s. on 7 August 2000. 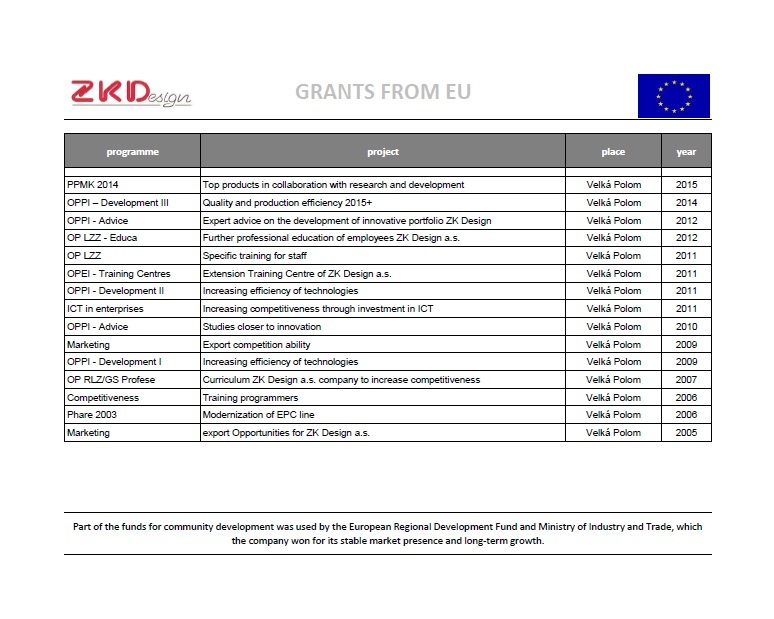 As successfull company we were able to get several programmes from UF regional development funds to increased stability and growth. On 21. 9. 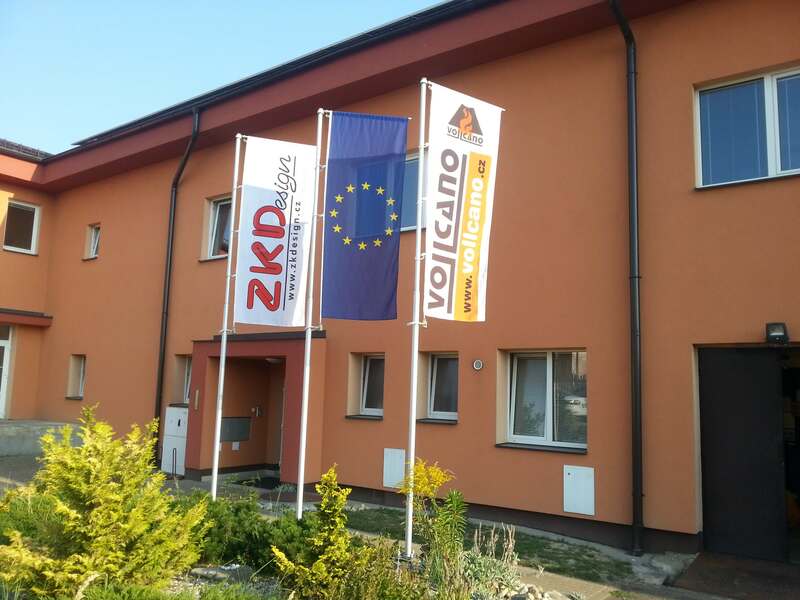 2009 Company – GK Design and asked for the certification according to ISO 9001:2009 and ISO 14001:2005 with a reputable certification company Bureau Veritas Czech Republic spol. 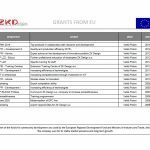 Ltd., which conducted the audit recommended the organization of the GC design and certification for quality systems and the environment. Based on recommendations were 20. 10. 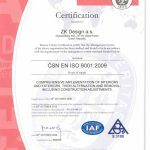 2009 issued by the competent certification authority certificates ISO 9001:2009 and ISO 14001:2005, which are updated annually by surveillance audits certification by renowned companies.